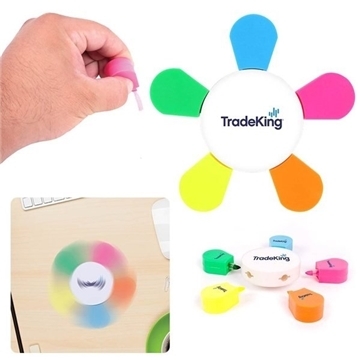 Comes with 5 vibrant colors for any task. Flat surface on one side for your imprint. Pointed end on the other side so you can spin it! I was happy with this product. As a sporting goods company, this has been one of our most requested give aways over the years. A constant order to AnyPromo is a must! Affordable as well. I liked the value and the design for the price. No matter what we get from AnyPromo- we are pleased. And even more importantly the relationship we have built with you all means so much to us. Great product. We have received really good feedback on these. Excellent quality item for great cost! My Logo design, etc. arrived on the scene great! It had been precisely what our client wanted and also the timing by which we received it had been faster than expected.